Have you been elected valedictorian? Are you the one who will be called up on stage to speak in front of all your classmates, family, friends, and teachers at the graduation ceremony? Your audience expects a memorable speech that is both inspiring and funny. Perhaps your speech will will end up on Youtube where it will be preserved for years to come. The pressure is enormous. But don’t worry! Just follow these five tips and you will write a hilarious speech in no time. Alfred Hitchcock said about movies: “Start with an earthquake, then slowly increase the level of suspense.”The same is true for graduation speeches. Your first sentence should shake your listeners. Then you can go on and dazzle ‘em. The best way to draw in the attention of your audience right from the start is humor. By the way, if you are graduating from high school this year, – even college students might not know! – you might not know who be familiar with Hitchcock, he was considered one of the best movie makers of all times. But let’s look at some funny openers. You could easily change this opener to fit your speech situation. For example, you could also welcome the bored siblings, tourists, who lost their bearings or people from the street who were hoping for free drinks. At graduation ceremonies there are usually several speakers, a teacher, a parent or a guest speaker. But only one speaker knows everything about what went on during the graduates’ high school years. 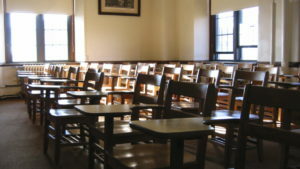 Only one speaker has been there, at parties, behind the school building or in the backseats of parents’ cars. And that speaker is you. Not only teachers and parents can make suggestions for the future of the graduates. Valedictorians can, too. But make sure you spice up your advice with a pinch of humor. 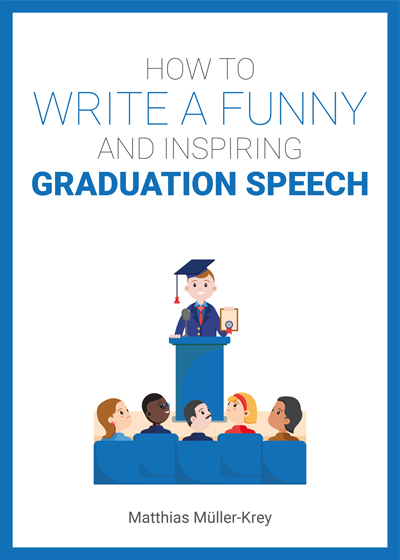 A rousing graduation speech needs a hilarious opener, a humorously-packaged look back, some words of wisdom and a crisp conclusion. However, there is something even more important than all this: your enthusiasm. 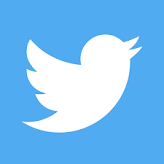 Your audience must feel that you are excited about your speech. More humorous phrases that will relax even the most terrified of speakers can be found here. 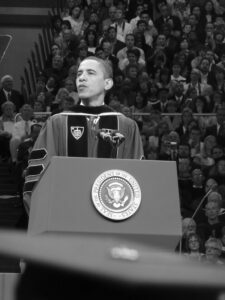 Take these five tips to heart and you will give a graduation speech that will sweep your audience of their feet. Good luck to you!